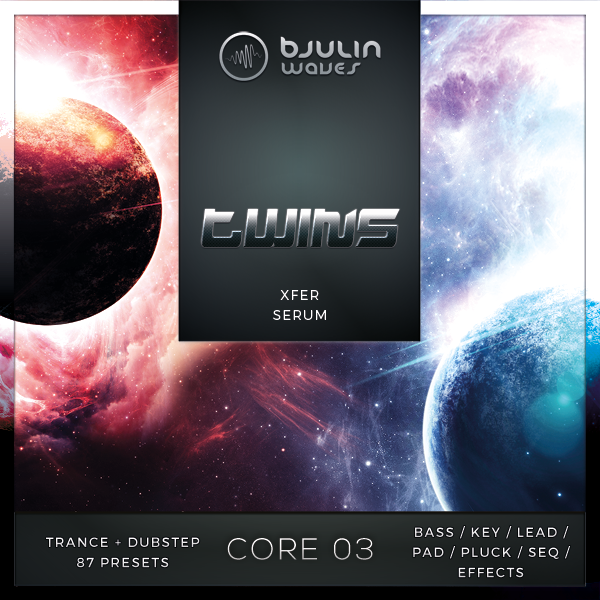 Twins is a soundset about the crossing line between trance and dubstep. Bjulin and Loris Solice (long time OneSynthChallenge participant) cooperated to put together this soundset. We took lots of work into it, as we didn´t want to just create those harsh and pure dirt sounds. We have taken care about usability, thickness and the more melodic side of both genres. Nevertheless, there are lots of big sounds, that can fill up your music with energy and movement. Expect a personal interpretation of the genres rather than simple copies of the common sounds. Of course, ModWheel is assigned on every preset as well as lots of macro bindings and aftertouch modulation.